Emerging markets legend Dr Mark Mobius of Mobius Capital Partners leads an impressive line-up of speakers at the 10th annual HedgeNews Africa Symposium, scheduled for February 21 at the Vineyard Hotel in Cape Town. 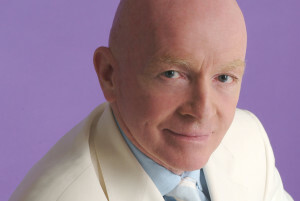 Mobius is seen by many as the founder of the emerging markets asset class and has a reputation as one of the most successful and influential managers over the past 30 years. In May 2018, he launched Mobius Capital Partners with two former colleagues, using a specialised active-investment approach with an emphasis on improving governance standards in emerging and frontier market companies. Also part of the day’s agenda is Adam Chamberlain of CDAM, the US$900 million London-based manager which offers both hedged and long-only solutions focused on developed-market equities, who will share his views on building a successful boutique in difficult markets. Political analyst and author Ralph Mathekga will update delegates on South Africa’s political landscape in an important election year. Mathekga is the author of two recent books, When Zuma Goes and Ramaphosa’s Turn, and is a regular commentator on political and economic affairs. Among other top talent confirmed for the 2019 line-up is Akshay Krishnan, head of macro and trading strategies at Stenham Asset Management, and Michael Rhodes, senior portfolio manager with the quantitative investment strategies team at Goldman Sachs Asset Management (GSAM), while BlackRock’s Alexander Orr will deliver a master-class on the case for alternatives in today’s world. 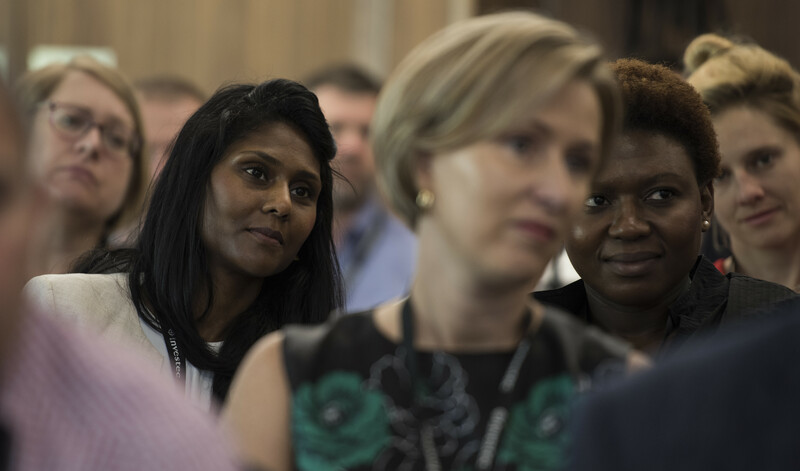 The Symposium 2019 agenda also includes many top South African managers and allocators, coming at a critical juncture as they navigate tricky markets while simultaneously needing to demonstrate their value proposition in a regulated environment. • Frontier and emerging markets: where to from here? • Are investors on board with alternatives? Not-for-profit hedge fund investors, pension fund trustees and financial advisers are eligible for discounted rates. Please email events@hedgenewsafrica.com for information. To download the Symposium booking form, please click here. Alternatively, you can email your booking query to events@hedgenewsafrica.com. For accommodation at the Vineyard Hotel or alternative options, please click here. 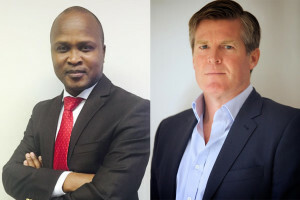 The HedgeNews Africa Symposium 2019 programme has been approved by the Financial Planning Institute of Southern Africa. Members who attend will receive 6 CPD Points (Knowledge), which are required to develop and maintain their capabilities to perform competently within their professional environments. 08h00-08h45 Panel session: Where in the world are we? Conventional wisdom is that we live in a world of unprecedented disorder, corralled by geopolitical tensions, trade wars and economic shifts. Panellists discuss the opportunities for investors and allocators in a disorderly world. 08h45-09h15 VIEWPOINT: Alternative beta, or hedge fund replication strategies, straddle active fund management and passive investing, offering the possibility of generating market-beating returns in a low-cost manner. What do such strategies have to offer? Should they replace an active allocation to hedge funds, or can they be effectively combined to complement hedge fund portfolios and add diversification? 09h15-10h00 Panel session: The frontier wars. Small, illiquid and risky, yet packed with alpha opportunity. Panellists discuss venturing in to markets where others fear to tread. 11h00-11h30 VIEWPOINT: South Africa today. 11h30-12h15 Panel session: The South African equity market has been under pressure, yet hedge funds have been getting a bad rap. What do equity-focused strategies offer investors, and where is the upside potential in difficult times? Stream session: OPERATIONAL 360: Industry players discuss operational issues and efficiencies designed to help the industry widen its investor base, offer relevant products and deliver on its promise. 14h30-15h15 Panel session: Identity crisis: Where to from here for hedge funds? What can the industry do to foster growth while delivering on risk-reward expectations? 15h15-15h50 Panel session: Innovation in asset management: how technology is changing the world of investing. 15h15-15h50 Stream session: What an evolving global landscape means for managers looking to attract investors and expand offshore. 16h00-16h30 Panel session: Private credit and other forms of debt financing offer investors access to alternative opportunities anchored to the real economy. How should investors approach such strategies, and what do they have to offer? 16h30-16h55 RESEARCH: Making it big. How hedge funds succeed. The Symposium attracts the top hedge fund managers, investors and service providers focusing on the African region. Our programme is created by an editorial team who track the industry year round, giving us the edge in creating a topical and timely agenda that covers the real issues in the market. We facilitate executive-level discussions with company decision-makers on our impressive speaker list, contributing via panel sessions and keynote speeches. The one-day forum is held in a closed-door environment with no other media present, allowing participants the freedom to engage in in-depth discussions as well as interactive Q&A sessions. The HedgeNews Africa Symposium offers an important opportunity for sponsors to showcase their products and services before a high-level audience. We partner with top-tier industry players who are dedicated to building their brand at the highest levels while interacting with their target audience in a productive and informative environment. If you are looking to enter the exciting African market or if your company offers access to untapped opportunities on the continent or the more developed South African space, you should consider partnering with us. To discuss partnering with us further or if you would like to receive our marketing pack with more details, please contact Lindsay Mitchell. Q. You have several discounts on offer. Can I have more than one discount applied to my booking? Only one discount can be applied per booking. Q. Is the Symposium for one day only? Q. Can I share my ticket with a colleague? If you would like to share your ticket with a colleague you must apply in writing to us via email. A decision will be made at our discretion. Q. Do I have to fill in a booking form or can I register over the telephone or by email? We must receive a completed booking form. Q. Does a ticket to the Symposium include a dinner seat at the HedgeNews Africa Awards Dinner? No, a ticket to the Symposium does not include attendance at the HedgeNews Africa Awards. These tickets are sold separately. Q. Is the HedgeNews Africa Awards Dinner always on the same day of the Symposium? Yes. It is hosted in the evening. Q. Can I pay for my booking by credit card? Yes. You can pay by credit card. We will send you an email with the details of how to proceed. Q. Can I cancel my booking and get a refund? Tickets are non-refundable and may be transferred only at the organiser’s discretion. Please note a ticket to the Symposium does not include attendance at the HedgeNews Africa Awards. Q. Can I have a delegate list? It is our policy not to release delegate lists. However, you can view a list of companies that attended the Symposium last year here. Q. Can I claim CPD credits for this event? Yes, you can. The Symposium programme is approved by the Financial Planning Institute of Southern Africa (FPI).